Born and raised in Taiwan and residing in the USA, composer Mu-Xuan Lin (林慕萱) defines her life as a quest for an artistic autonomy poetically engendered by both its will and its vulnerability to one’s corporeal experience and to the world one lives in. 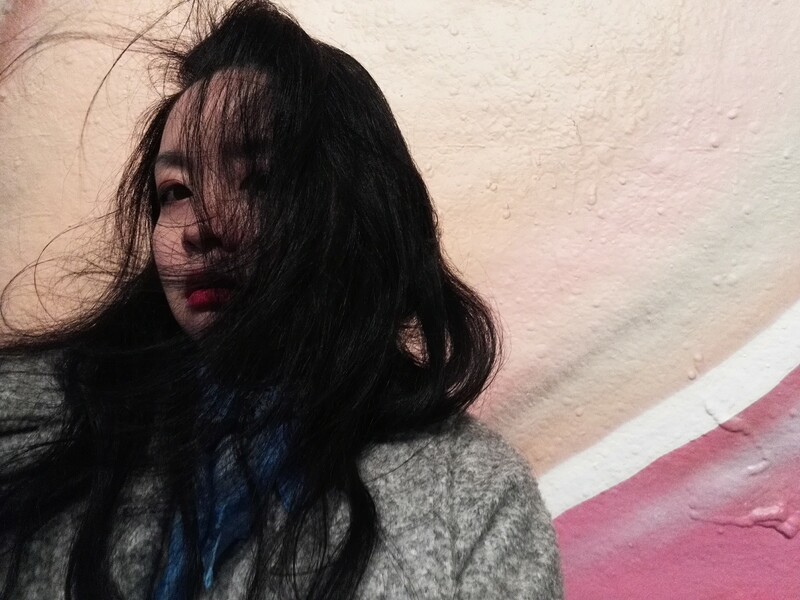 Having had extensive training in the visual arts and creative writing and frequent exposure to theatre, dance, and literature from an early age, Mu-Xuan is interested in the intrinsic kineses latent within any expressive matter which can be extracted, dissected, critiqued, and recreated in new artistic deliverances. She aims to synthesize the dialectic and the immersive in music which were too often at antithetical ends according to the modern discourse of music composition and aesthetics. Described by the Los Angeles Times as “fascinating,” her music has been heard worldwide as well as on the radio stations SRF2 kultur (Switzerland) and WQXR (New York), and on an ein_klang record. She is a guest-composer at the Novalis music+art Festival (Croatia), the winner of the Protonwerk No.3 award (Switzerland) and Ensemble Adapter’s commission project “Adoptions 2017” (Germany), an artist-in-residence at the Cité Internationale des Arts in Paris (France), an awardee of New Music USA, Max Kade, Mellon, Center for German and European Studies (DAAD program), FACE Croatia, Gardner Read, and ASCAP grants, a selected active fellow at the Summer Academy at Schloss Solitude (Germany), Darmstadt Summer Course (Germany), EXPERIMENTALSTUDIO’s Matrix15 (Germany), June in Buffalo (USA), Acanthes de Metz (France), Sävellyspaja (Finland), Ticino Musica (Switzerland), and Virginia Center for the Creative Arts, an Associate Artist at the Atlantic Center for the Arts working with Master Artist Georg Friedrich Haas, a representative for KoFoMi (KomponistInnenforum Mittersill) and the residency in Salzburg (Austria), a featured composer at the Donaueschinger Musiktage – Next Generation konzert 2016 (Germany), Innovation Series 2017 (新點子樂展) – 30thAnniversary Edition of Taipei National Theater & Concert Hall (Taiwan), the Piano Spheres Concert Series (Los Angeles), Hear Now Festival 2017 (Los Angeles), New Gallery Concert Series (Boston), and the 180º Festival (Bulgaria), and honorable mention/finalist of various competitions including the 2016 neuverBand International Commission Competition (honorable mention) and the 2015 Darmstadt Music Theatre Competition (semi-finalist). She is working with ensemble mise-en (USA), duo A&K (USA), flutist Shao-Wei Chou (France), and percussionist Colin Frank (UK/CA) among others, and has worked with Neue Vocalsolisten Stuttgart (Germany), Ensemble Adapter (Germany), Ensemble SurPlus (Germany), Ensemble Proton Bern (Switzerland), Secession Orchestra (France), Avanti! Chamber Orchestra (Finland), Norrbotten NEO (Sweden), members of the Lapland Chamber Orchestra (Lapin Kamariorkesteri, Finland), Talujon Percussion Group, Radnofsky Quartet, Lydian Quartet, Dinosaur Annex, Transient Canvas, Urbanity Dance Project, percussionist Aiyun Huang, soprano Tony Arnold, and pianist Vicki Ray among many others. Mu-Xuan received her bachelor of music in Composition from the New England Conservatory, and MFA and Ph.D. in Music Composition and Theory from Brandeis University. Her primary instructors in composition include David Rakowski, Melinda Wagner, Yu-Hui Chang (張玉慧), Eric Chasalow, Michael Gandolfi, Larry Bell, and Ya-Ming Hsu (許雅民). She has also received instruction from Mark Andre, Oscar Bianchi, Chaya Czernowin, Francesco Filidei, Joshua Fineberg, Beat Furrer, Bernhard Gander, Georg Friedrich Haas, Stephen Hartke, Philippe Hurel, Louis Karchin, Fabien Lévy, Claus-Steffen Mahnkopf, Samir Odeh-Tamimi, Hilda Paredes, Hèctor Parra, Rebecca Saunders, Dominique Schafer, Johannes Schöllhorn, Oscar Strasnoy, Hans Thomalla, and Jukka Tiensuu. As a researcher, Mu-Xuan’s Ph.D. dissertation “On the Epistemological and the Methodological Approaches in the Analysis of Contemporary Music and a Synthesized Analysis of Fausto Romitelli’s La Sabbia del Tempo (1991) illuminates her interest in the epistemological aspects of artistic and musical creativity. She is currently working on an article – “Representation, Body Politics, Embodiment : New Discipline and the Rhetoric of Gender Studies” (working title), publication of which is forthcoming. As a music educator, Mu-Xuan has previously taught at Brandeis University and California State University Long Beach. Currently Mu-Xuan holds a lecturer position at the Hall-Musco Conservatory of Music at Chapman University. 慕萱從師David Rakowski、 Melinda Wagner、 Yu-Hui Chang (張玉慧)、Eric Chasalow、Michael Gandolfi、 Larry Bell、 及許雅民.。於大師班和講座環境下從師Mark Andre、 Oscar Bianchi、 Chaya Czernowin、 Francesco Filidei、 Joshua Fineberg、 Beat Furrer、 Bernhard Gander、 Georg Friedrich Haas、 Stephen Hartke、 Philippe Hurel、 Louis Karchin、 Fabien Lévy、 Claus-Steffen Mahnkopf、 Samir Odeh-Tamimi、 Hilda Paredes、 Hèctor Parra、 Rebecca Saunders、 Dominique Schafer、 Johannes Schöllhorn、 Oscar Strasnoy、 Hans Thomalla、 及 Jukka Tiensuu.